While Thou Shalt Not Steal is one of the best known ten commandments, there is no directive ordering Thou Shalt Not Copy. This glaring loophole in God's law, which runs contrary to established entertainment industry doctrine, apparently allows priests to watch pirated Oscar review copies of major movies without concern. 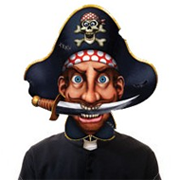 Meanwhile, over in the Vatican, pirates are having the time of their lives downloading some quite eye-watering media. Paul Flynn, the owner of a DVD rental store in Limerick, Ireland, has a rather interesting customer. For the last five or six years a local priest has been calling in to rent movies. Paul describes the priest as “a lovely man who loves his old films” but there’s more to this man of the cloth than first meets the eye. Of course, back in January the movie wasn’t out on DVD, so either the priest is an Oscar voter or there’s another more likely explanation. And it gets worse. What we appear to have here is a secret pirate movie club located in a monastery, run and frequented by priests. If that wasn’t enough, Paul says the priests just don’t see anything wrong in it either. This rather unusual tale piqued our interest. Is the pirating priest phenomenon isolated only in the beautiful city of Limerick or is it more widespread? Helped by Scaneye, TorrentFreak decided to take a look at the recent downloading habits of people living in the most religious city-state in the world – the Vatican. While TV shows seem quite popular, when compared to their Irish counterparts people in the Vatican are a real disappointment when it comes to the downloading of pre-release movies – there were no downloads of DVD screeners whatsoever. In fact, only three Hollywood movies appear in the entire list – Love Actually from a decade ago, a cam copy of Snitch, and The Last Stand in x264. Music is also less popular than we expected. In addition to a compilation album there’s just one recent download of Ed Sheeran’s Lego House. Also from the same IP address was the only game download in the list – Aerosoft’s Mega Airport Madrid X. But just when the whole exercise was beginning to fall a bit flat, we spotted some downloads to get pulses racing. It seems that while Vatican dwellers aren’t all that interested in Hollywood movies, they do enjoy adult related celluloid. TorrentFreak couldn’t find a priest prepared to make a comment and apparently the Pope is “busy” today. On a Sunday? c There are 226 comments. Add yours?